I’d really really like Tracey to come to Australia….like, so bad it’s not funny. We in Austria wait to see and hear something from you live! Best wishes from us to you! I wish she’d come to Aus too, Camille!!!! Do you know if it’s a full band tour or an acoustic one like the previous? What about dates in Asia, Kuala Lumpur, Malaysia in particular. Would Tracy Chapman be tour Toronto Canada sometime.. I have tickets for the first London show, got them as soon as they were announced and then she adds another date! I wonder why the second concert starts at a later time. By the way, the tickets are cheaper if you buy directly from the Roundhouse. Ticketmaster adds on too many charges! Hello Tracy: I am big fan from the NYC area. Your “Our Bright Future” album is the best. I am sending you good tidings, wishing you luck with your European Fans. They are in for a big treat. Congratulations & come back to NYC. Would be very kind if you come to Austria.Atleast in VIENNA.Thanks! When are u coming to Portugal ? you have also fans in Greece,please arrange a concert in Athens we like you and we want to listen to you live. Since I fell in love with you in 1991, I remain to be in love with you and your songs. Your songs are superb. Please please come to Australia sometime!! TRACY NEEDS TO COME TO AUSTRALIA ……………….. IT WILL BE BETTER THEN ANY TOUR SHE HAS DONE YET !!!!!!!!!!!!!!! Hi, I heard you give a radio interview on Radio Nacionla de Espana this morning and I am looking to see if you are playing in Madrid or Spain during the European Tour, I can’t find anything. Are you playing anywhere in Spain? Hey Hazel, unfortunately it seems that Tracy won’t play in Spain this time, she played in Barcelona on December 21, 2008. Would you remember with radio show she was on this morning? 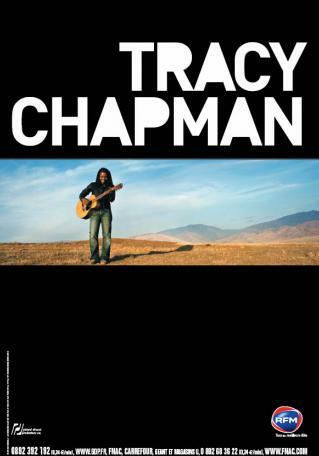 Would love tracy chapman to come to cardiff. When are you coming home to the U.S. I would love to see you! Loving you werever you might be and in whatever you are doing. To your family members i say warm and tender greetings, especially Tracy the Chapman, how are you doing Lady, will you ever think of staging in a poor Zambia? Hey Tracy and fellow fans! My request would be for a show at Red Rocks…I can just hear it…Save Us All and The Promise…the sound would be so beautiful…and to see Tracy standing on that stage…what a magical experience that would be. Fan tuyo desde hace mucho tiempo, radico en Lima-Peru. Me preguntaba si te animarias a hacer unos conciertos por aca de hecho q tienes mucha acogida y bastante gente iria a apreciar tu musica. Please come to Glasgow! My family and I are huge fans!! TRACY NEEDS TO COME TO BRAZIL! Tracy has to come to Australia! Hi Tracy- your new album is wonderful as always. I have a question for you- I just noticed your mom, Hazel Chapman, has a new book of poetry out and I can’t wait to read it. Poetry is such a powerful and awesome form of expression and I’m always saddened in bookstores how small its devoted section is compared to – well, knitting, for example or anything else. (Knitting is great. I’ve nothing against it) Seriously poetry is sadly unpopular. What do you think could make poetry more desired by the public? Is it modern style of poetry or lack of modern poets?? It is such a hard market to break into- how can we make it better? Your songs often read as poetry and it is one of the things that makes your music so beautiful. Thank you for the years of inspiration. Also, thank you for staying true to your unique style of music and not ‘becoming mainstream’ after your fame. It’s kept your music great. I just wake up after you finish your tour in Italy, I don’t even have any idea that you were in Italy and No words how much I missed your Musics. I Love your musics, since I was in High school in Africa, Ethiopia, I used to collect all your albums, I love your guitars, Strong messages of your all musics, Wow now in Europe I lost the one I really love to see. Hope to see you again on stages with your guitar. Was also better if you just do some advertise or publication. I was looking for a date for a Dallas Texas concert but, I did not see a date. I love your music and would love to see you in Dallas,Texas soon. Have you ever been in Puerto Rico or Curacao? Just listened to an interview with Tracy on the NPR program Tell Me More. Tracy sounds as fresh today as she did 20 years ago. you should come to sweden soon. love your music!! i wish i knew you played on the 22nd of august as well I would have watched your show again. and again. and agagin. today was fantastic!!! luvya Tracy! please let us know if shell be touring on 2010.we luv u Tracy!!! ur d best! so many people missed you becouse we did not know you came to germany and italy.. I grew up listening to Tracy Chapman, my mum used to play tapes of her music in the car on long trips. Her lyrics have stayed with me and now I play and sing Tracy songs to my daughter. I hope she too will have the social conscience and respect for other humans that I hear in Tracy’s songs. 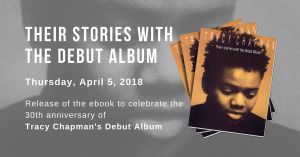 I would love to take my daughter to a Tracy Chapman concert in Australia one day – generation of fans await you! I so wish you could come to South Africa. You rock Tracy. You touch my soul with you music. I cannot even explain how i feel when listening to your music. Alguma chance de um show no Brasil? nossa sem palavras .vc uma artista unica .parabens elo trabalho espero um dia com muita sorte te conhecr,deixo meu abraço minha indolatria.bjos fica com Deus;DF Brasil. Australia!!! We love you Tracy. Tracy please come to Australia. You are very much loved down here and I’m sure any concert, in any city would be a sell out and a great night! Can’t wait to hear you sing live! This is old news. When is Ms. Chapman touring for 2011? Is she coming to Canada? We would love to see her in Prince Edward Island.